Land is a crucial resource for poverty reduction, food security and rural development. However, men and women do not always enjoy the same rights to land. 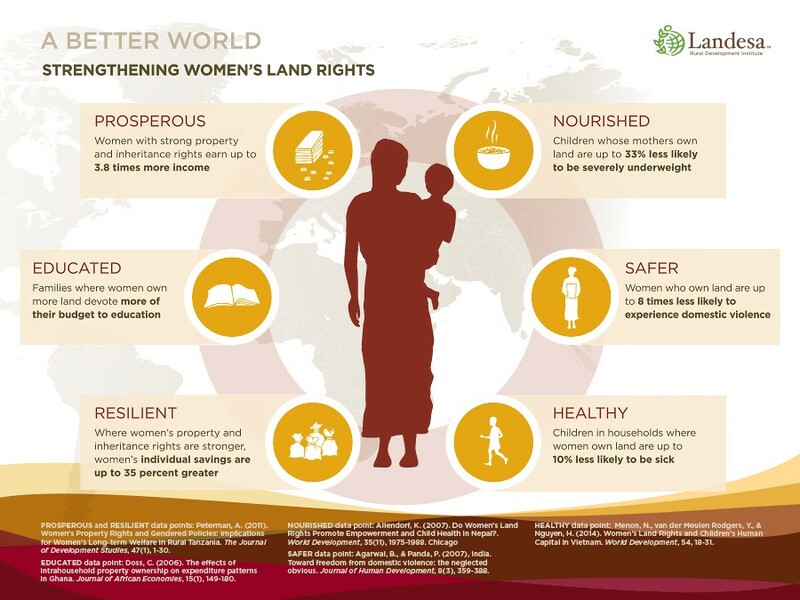 Learn more about the different factors that relate to gender inequalities embedded in land rights by exploring the country profiles, gender and land-related statistics and the recently-developed legal assessment tool (LAT).